Listed below are Melpomene Music Group acquisitions currently available for exploration. To learn more about any one of them, simply click on an image, and you will be taken to full Project details. 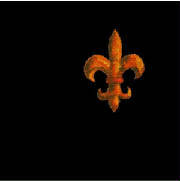 Based on the novel Les Liaisons Dangereuses by Pierre Choderlos de Laclos (1741-1803), with music composed and orchestrated by Malcolm Caluori, and libretto by Johnathan Daniel Steppe, story collaboratively adapted. The seven principal roles include soprano, soprano, soprano, mezzo-soprano, contralto, tenor and baritone. Numerous brief chorus roles for all voice types may be distributed among a large chorus, or doubled up within a smaller chorus. 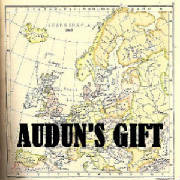 Based on Auðunar Þáttr vestfirska, the medieval Icelandic Tale of Auðun of the Westfjörds, with adaptation and music composed and orchestrated by Malcolm Caluori, and additional material developed with Johnathan Daniel Steppe. Libretto yet unassigned. Principle roles for mezzo-soprano,tenor, baritone and bass-baritone, with comprimario roles for soprano, tenor, tenor, tenor, baritone and bass. 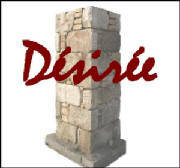 Based on the short story Désirée's Baby by Kate Chopin (1851-1904), with six section adaptation, text and music composed and orchestrated by Malcolm Caluori. Soprano, Mezzo-soprano and Tenor roles, plus Gospel Choir with soprano, alto, tenor and bass soloists. 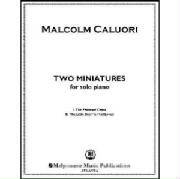 Two pieces dating from 1991 and 1992, each standing as a rare extant example of Caluori's early piano writing. The Pheasant Chase, a humorous romp; The Little Boy He Had Loved, inspired by a character from The Selfish Giant by Oscar Wilde, originated as a thematic sketch intended for later development and orchestration within a larger work, but was ultimately conceded by the composer as a work in its own right. The two have been paired together here for this Melpomene folio. 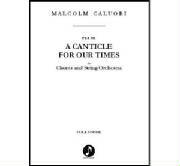 Pro-peace, anti-war choral music for mixed SATB voices and strings (or piano), music composed and orchestrated by Malcolm Caluori. A proven, moving crowd pleaser, more relevant then ever. Written in response to the Persian Gulf War, with Biblical texts selected by the composer. 5 mins. "...I had not experienced wartime before, and it was a big deal for Americans. ...the 'Canticle' was a passion that I attacked and completed in days...."